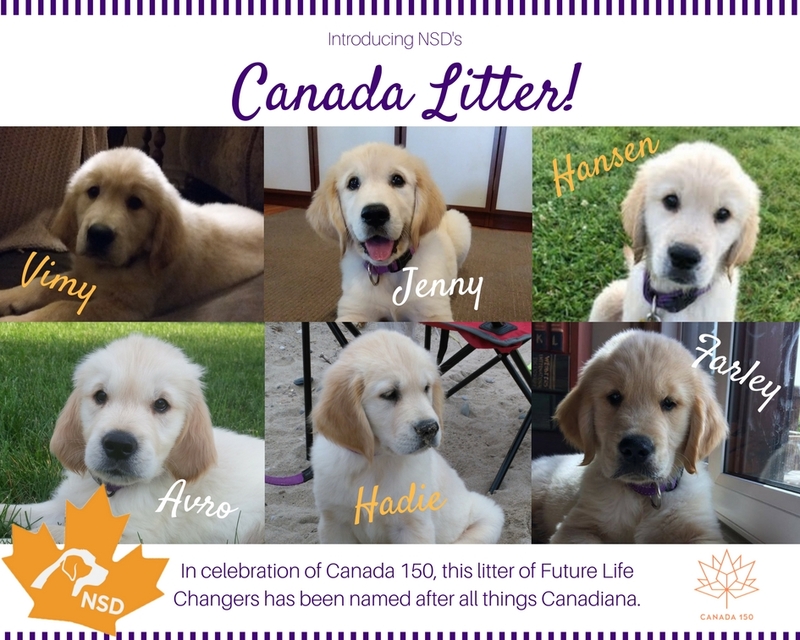 In celebration of Canada 150, meet NSD’s Canada Litter. 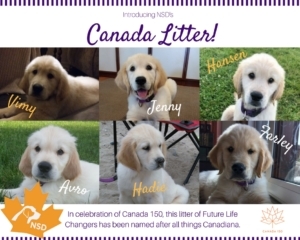 These future life changers were named after influential Canadians or significant historical events for Canadians. Farley – in honour of Farley Mowat, Canadian writer and environmentalist. Sponsored by NSD Volunteers.